Looking back, it’s easy to recall just how much air travel has changed with the trends of our times. You may remember, for example, when cabin crews were nearly all women, wearing—literally—dress uniforms. Or when checked baggage was included with your airfare and “carry-on” meant a handbag or briefcase. We used to call travel agents on the telephone to work their magic and arrange our passage. And going through security meant little more than strolling through a metal detector. These days there is a much greater responsibility placed on travelers to understand what is required to check in and fly the friendly skies. This can be especially challenging for hunters traveling with dogs, as rules and costs seem to be constantly changing. It is our responsibility to research logistics well in advance of a trip or face the prospect of a rude surprise at the check-in counter. Last year I received a note from a hunter who had found that some airlines had shifted from carrying crated dogs as checked baggage to shipping them as cargo, “which nearly triples the cost of shipping my Labrador retriever.” Indeed, research has shown that several major airlines (including Delta and United) treat a kenneled dog as cargo. This requires planning for drop-off and pick-up at a cargo facility at most airports. And while some now offer specific animal-care services and comforts, it will cost you. United’s PetSafe service, for example, costs $348 each way for a dog and kennel between 50 and 70 pounds. You have to really want to hunt over your dog to put both of you through the extra strain—and drain. The current landscape for flying with a dog ranges from specialized services to airlines that will not carry dogs at all unless they fit as carry-on (JetBlue, Southwest, Virgin America). American Airlines still offers carry-on, checked or cargo options. First and foremost, begin your research into a prospective airline’s dog-carrying policy well before you book your flight. A good online clearinghouse, such as bringfido.com/travel, offers an overview of each airline’s practices. It’s important to follow the links to the individual airlines to see that the information is current and accurate. Most carriers require reservations or pre-registration for your dog and many point out that space is limited. The site also has links to USDA pet-travel rules. So is the effort and expense worth it? 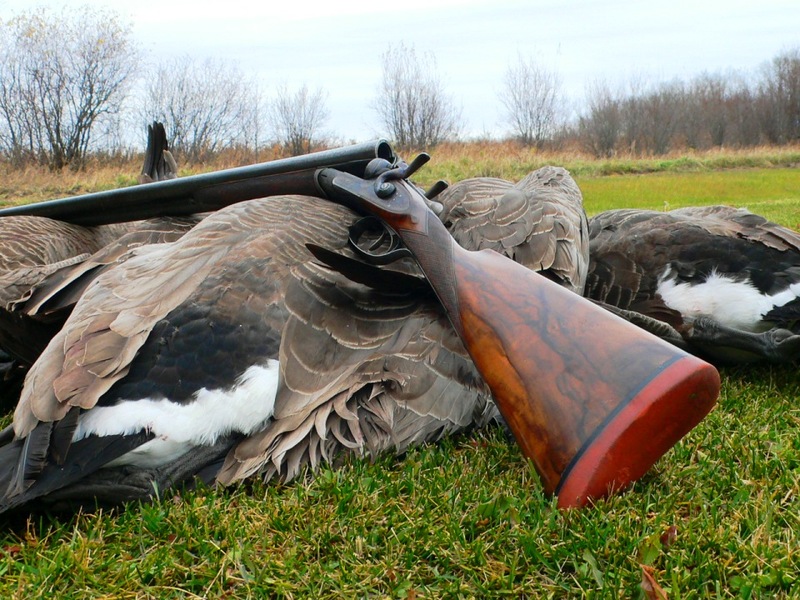 According to Mike Stewart, owner of Wildrose Kennels: “The benefit of flying with a dog is that it broadens the number of destinations the hunter can experience.” It certainly can broaden the dog’s experiences too. “The challenges of flying include extreme weather conditions that can change abruptly and dealing with connections, which are opportunities for mishaps. Still, with a little forethought and planning, our own travel has a good chance of going according to plan and taking us far afield to hunt—hopefully over our favorite dog. • We much prefer direct flights—no connections. • I wait with the dog until it clears TSA and is accepted by the airline’s cargo handler. • Once aboard the aircraft, I ask the flight attendant if the dog is aboard. • Crate train the dog to assure that it is comfortable and relaxed in a crate. • Ship the dog wearing a collar that includes its name as well as its owner’s name and telephone number. • Do not sedate the dog. • Get the vet health check one week before the flight, as this requires an appointment and trip to the vet’s office. 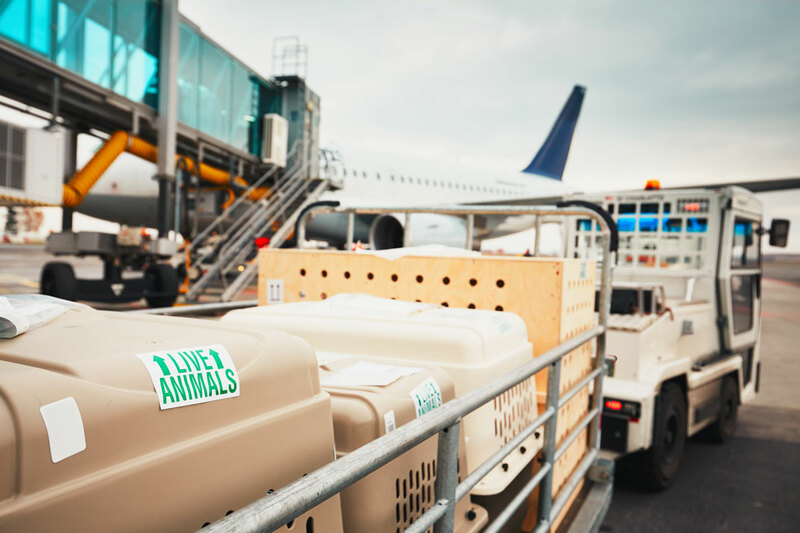 • Check the temperatures, as the airlines have specific ranges in which they will allow animals to transport.